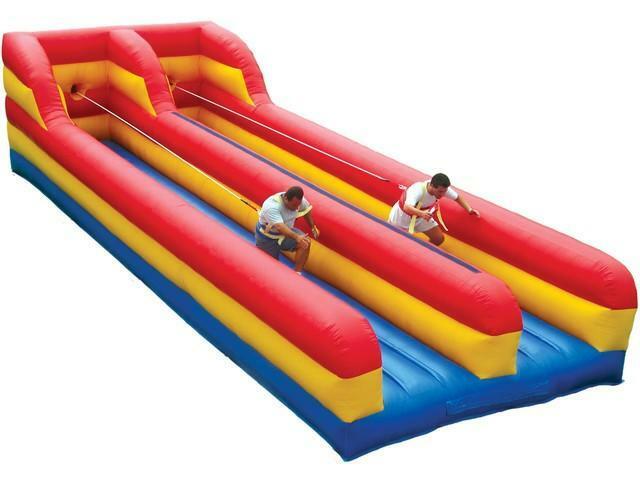 The bungee run is a classic inflatable game. Contestants race against each other to try and get their marker further than the other person. The bungee pulls back on each contestant and snaps them back to the start. The bungee run is really one of the best games for any party or special event.